I extend to you my congratulations on the opening of the International Conference “Important of the Great Silk Road: Present and Future Development”! I trust that this forum will play an important role in the extensive research of the history of the Road and become an effective platform to define its present and future development, President Gurbanguly Berdimuhamedov states in his Address. 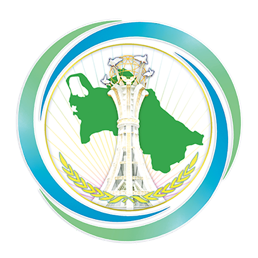 In 2018, our country celebrates the slogan “Turkmenistan: Heart of the Great Silk Road”. Major works that are carried out to research and promote the historical importance of the Great Silk Road become a true manifestation of friendship, humanism and good-neighborliness. The strengthening of friendly ties with all countries of the planet, the effective development of international cooperation are the pillars of our country’s legal status of permanent neutrality. It is quite symbolic that the conference is convened on the eve of International Day of Neutrality. Neutrality is a doctrine that calls for peace, friendship and solidarity among the peoples of the planet and promotes our humanistic principles. Today, solution of certain tasks stemming from Turkmenistan neutral status acquires greater significance in terms of consolidation of peace, securing sustainable development and well-being of the peoples. Strengthening partnerships with the UN, its specialized agencies and reputable international organizations is one of the key aspects of our country’s foreign policy, the address says. Currently, the cooperation between Turkmenistan and UNESCO has reached a new level of development. Our neutral country was elected member of the UNESCO Executive Board for 2013-2017 and the Organization’s Intergovernmental Committee for Physical Education and Sport (CIGEPS). Turkmenistan’s historical and cultural monuments, such as Ancient Merv, Kunya-Urgench, Ancient Nisa, were inscribed in the UNESCO World Heritage List. The Turkmen national rite of singing and dancing, Kushtdepdi, and the epic art of Gorogly were included in the Representative List of the Intangible Cultural Heritage of Humanity. I hope that this International Conference “Importance of the Great Silk Road: Present and Future Development”, organized in partnership with UNESCO, will give a new impetus to our partnership in this field. The Great Silk Road, whose history extends back thousands of years, holds a prominent place in the history of humanity. By promoting the development of friendly relations between the peoples of the world and strengthening links and cooperation between merchants, this Road united many different peoples in ancient times. Old forts, caravanserais, historical and cultural monuments keep the glorious chapters of the history of this caravan route. We place a great emphasis on the study of historical monuments located along the Great Silk Road and the cultural heritage of the people, to identification, collection and promotion of national values. Research of the Great Silk Road and a wider publicization of its historical significance are clear evidence that the international community recognizes the principles of friendship, humanism and good-neighborliness that our independent neutral state is committed to. Large-scale construction of railroads and motor ways, bridges, new transport and logistics facilities has been launched in the country; regular convening of international forums on the development of cooperation in the said sphere testify to the revival of the Great Silk Road in the modern context. This also indicates the global prioritization of the principles of friendship, peacefulness and good-neighborliness, the values that guide our country, the Presidential Address stresses.